What To Do Before The Defense Medical Exam In Florida? Pursuant to Rule 1.360 of the Florida Rules of Civil Procedure, the defense may request you undergo an exam by a qualified expert. This permitted because your physical condition is at issue. The defense will make a request specifying the time, place, manner, conditions, and scope of the defense medical exam. Your attorney must respond to the defense’s request within 30 days. Sometimes attorneys object to certain conditions of the exam. If that happens the judge must decide. Your most important responsibility is to show-up – on time. I always remind my clients the day before the Defense Medical Exam. I want to make sure they know the time and location. If you miss your appointment for a Defense Medical Exam the court could require you to reimburse the defense for the cost of the exam. This can be very expensive – so don’t miss the appointment. Even though you are required to attend a Defense Medical Exam, you still have rights. First, you do not have to sign anything given to you by the defense doctor without your lawyer reviewing first. Second, you do not have to discuss the liability of the case or what you and your attorney have talked about. Third, you have a right to refuse to be injected, examined without a gown, and/or undergo diagnostic testing. Also, if you are a minor you have a right to be accompanied by a parent or guardian, at all times. After the Defense Medical Exam you have a right to request a written report of the defense doctor. This report must include the doctor’s findings, diagnosis, and conclusions. For a copy of my firm’s Notice of Client’s Rights and Responsibilities during a Defense Medical Exam form email me at mlongo@longofirm.com. Honesty is the most important thing to remember before a Defense Medical Exam. Exaggerating your symptoms or pain can hurt your case. Doctors are very good at uncovering an exaggeration by looking at the physiological evidence. They can compare your subjective complaints to your nerve pathways to see if they match up. If you’re complaining of pain radiating down your leg, you would expect a lumbar herniated disc. If you don’t – then the doctor will claim you are a liar. As a personal injury attorney in Florida I like to speak to my client’s family and friends. Often times the spouse is more aware of things the client needs help with. This includes bathing, dressing, and eating. I always like to make sure these things are documented – sworn written statement. Another thing that can help your case is to keep a diary. I usually suggest a daily log – morning and night – for at least 30 days. Your spouse should also keep a diary. A diary will tell your attorney things you would never know about you and how your family is suffering. A diary also forces those close to you to “pay attention” and “document” unusual behavior. Things like irritability, depression, lack of motivation, weight gain, etc. If you’d like to see a copy of a diary template I use in my practice, email me at mlongo@longofirm.com. On the day of the Defense Medical Exam, I give my clients a questionaire to take and complete immediately after the exam. The questionnaire asked questions about the exam. This is to be completed when the exam is still fresh in the clients mind. It can be helpful to your attorney while examining the defense doctor at deposition or trial. Another thing I always recommend is scheduling an appointment with your own doctor the same day as the Defense Medical Exam. Your own doctor will document your symptoms – things like muscle spasms and decreased range of motion. This will be documented the same day as the defense doctor said nothing was wrong with you. For more information on what to do before or after a Defense Medical Exam check out some of our other personal injury articles on our firm’s website. Also, you can subscribe to The Longo Firm YouTube channel for informative videos. Proving fault in an intersection car accident in Florida can be difficult. Intersection car accident cases involve left-hand turns, signal lights, and yielding traffic. Intersection car accident cases almost always pose liability questions. This is especially true if both vehicles were moving. There are several reasons why intersection car accident cases are difficult. The other driver usually denies fault when being interviewed by the police or their insurance company. The police sometimes make liability decisions without a formal investigation. The laws on intersections, signals, and yielding to other traffic can be complex. Also, insurance adjusters are trained to find some element of comparative fault, to reduce the settlement. So, what are some things you can do to prove you’re not at fault in an intersection car accident case? First, you want to get a copy of the police report. You may be able to get a copy online at BuyCrash or LexisNexis. While the police report generally cannot be used as evidence in Florida courts, it can help with proving fault. You’ll want to look for admissions made by the other driver. Also, you’ll want to see what the other driver’s speed was listed on the police report and compare it to the posted speed limit. If the other driver was speeding, you can argue this was a contributing factor. Second, you’ll want to see if the police report listed any independent witnesses. Unfortunately, most witnesses who saw the crash are usually in their car and continue on their way. They don’t stop to give their names to the police, unless it was a major collision. If there is an independent witness listed you (or your attorney) should contact them to get a statement. This should be done as soon as possible. Witness memories tend to fade over time. The longer you wait the less likely they’ll remember specific details. In intersection car accident cases the devil is in the details. Third, you’ll want to document the property damage to your car and the other driver’s car. More often than not the location of the property damage can provide valuable incite into the specific details of the crash. Also, if it’s a major crash an accident reconstructionalist can use those photographs to recreate the crash at trial. 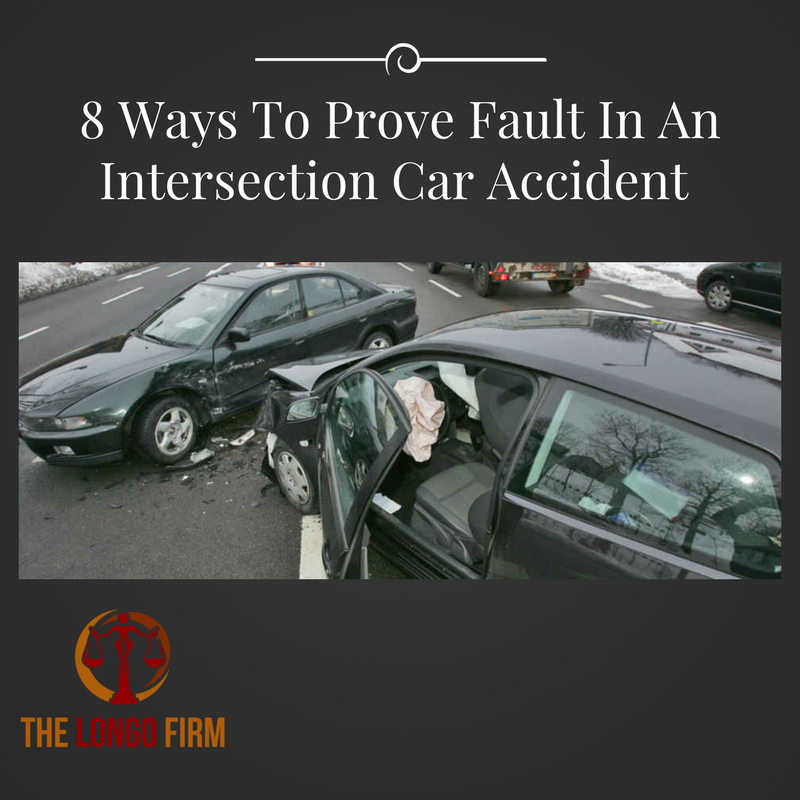 This is a very persuasive method of proving fault in intersection car accident cases. Fourth, you should read the Florida statutes on motor vehicles which applies to the accident. If the other driver violated a state statute he there may be a rebuttal presumption he or she is at-fault. We call this negligence per se. If the case proceeds to trial the statute will be read to the jury. Fifth, it’s important to re-visit the accident scene. As a car accident lawyer I make sure I do this in all my cases. By visiting the accident scene I can visualize how the accident actually happened. You’d be surprised how taking a look at the intersection again can influence your persective. I also invite the insurance adjuster or defense attorney to come with me. This simple exercise has had profound effects on proving fault in intersection car accident cases. Sixth, take pictures of all road signs, traffic lights, or any other road signs near the intersection. For example, a speed limit sign in a school zone would be important. Especially, if you believe the other driver was speeding. If the other driver stated he was going 35 mph which is the normal speed limit, but it was 15 mph at the time of the crash, you now have an argument. Seventh, determine the exact weather conditions at the time of the crash. This may be listed on the police report. Also, a simple search for the weather condition history would provide this information. You’ll want to know if weather played a factor in the crash. Was it raining, was it foggy, etc? If the other driver was driving the speed limit they still might have been going too fast for conditions. Also, you’ll want to determine what the traffic conditions were like at the time of the crash. Did the accident happen during rush hour? This information can be extracted from the police report. Look at the time of the accident. Is this a time of heavy traffic? Eighth, try to determine if a mechanical defect is cited as a possible cause of the intersection car accident. Sometimes, the police report will state that the driver attempted to put on their brakes but they weren’t able to stop. This might mean that the other driver’s brakes were bad which contributed to the crash. These are just a few of the things that can help you prove fault in an intersection car accident case in Florida. If your case depends on your word against the other drivers’, without any objective witnesses, you should expect an uphill battle. Because of this I always recommend you hire a qualified car accident attorney. For more information visit my Car Accident Articles on our website and watch some of our Personal Injury Videos on YouTube. Immediately following an accident I always recommend that you seek immediate medical treatment at the Emergency Room. This is the first phase of your medical treatment. Even if you don’t feel pain right of way it’s always best for your body and your piece of mind to be x-rayed and examined by an emergency room doctor. After you’ve been released from the emergency room you’ll be instructed to follow-up with a specialist. This is the second phase of your treatment. I recommend that accident victims follow-up with a medical doctor, rather than a chiropractor. You want to see a medical doctor who has experience in personal injury cases. I recommend avoiding primary care physicians because they have been known to sand-bag cases. This is likely becasue of inexperience and/or wanting to avoid the hastle of personal injury litigation. Also, you want to make sure your treating physician is board-certified. During your initial visit you’ll spend time filing out lots of paperwork. You’ll be asked questions about your medical history, the accident, and your injuries. Be sure to be 100% truthful when completing initial intake forms. What you write and say could be used against you in Court. You don’t want to deny a prior accident, when you’ve had several in the past. Be sure if you aren’t truthful the defense will find out! Credibility is the most important thing in any accident case. When you finally meet the doctor during your initial visit, expect a full and complete examination. The doctor may order x-rays. If so, he or she will discuss the findings and prescribed a treatment plan. Almost all treatment plans involve a normal course of physical therapy. The third phase of treatment is a normal course of physical therapy. Some doctor offer in-house physial therapy while others will refer you to a chiropractor or other facility. Physical therapy usually consists of 4 to 12 weeks of treatment, depending on your injuries. If you’ve been treating longer than 12 weeks, you should find out why. You’ll want to be careful becasue some doctors, will continue to treat you until all your insurance benefits are exhausted. This could be a red-flag for the insurance company signaling that your treatment was not reasonable, necessary, or related. In the beginning you may be prescribed daily physical therapy, followed by a gradual tapering down to 1-2 times per week. Again, everyone is different, so your own personal physical therapy needs may be different. Treatment during the physical therapy phase usually involves 3 to 4 modes of treatment. The most common modalities for soft tissue injuries are electrical stimulation, hot/cold packs, ultrasound, and chiropractic adjustments. The third phase is the MRI scan phase. After an accident your pain might not immediately go away. Often it may get worse. When this happens your treating physician will refer you for an MRI to determine the exact nature of your injuries. A common injury after an accident is a bulging or herniated disc. These painful disc injuries can only be seen on an MRI scan. The sooner you have an MRI after the accident the better. That way it’s less likely the defense can argue that the objective findings on the MRI scan were caused by something else. For example, if you wait 6-months to have an MRI scan, the injuries shown on the films could have been from anything. It’s less likely something other than the accident caused your herniated discs if taken within 30 days of the accident. If the MRI reveals a disc injury, especially common in car accident and slip and fall cases, you will be referred to an orthopedic surgeon or a neurosurgeon for work-up and evaluation. This is the fourth stage of medical treatment. If you’re already treating with an orthopedic surgeon, then you’re ahead of the game. An orthopedic surgeon would examine you and your diagnostic tests to determine if you’re a surgical candidate. Usually before surgery you may be referred to a pain management specialist for a series of epidural steriod injections. Epidural steroid injections are given in a series of 2 to 4 injections, usually 30 days apart. Injections can be diagnostic as well as therapeutic. They can give an injured person partial to complete short term relief, and also can be used to tell the complete extent of the disc injury, including its exact location. If you don’t get relief form epidural steroid injections your most likely option is the dreded “surgery.” Most people who are recommended for surgery never follow though. Keep in mind that the insurance company usually won’t pay you as if you’re going to have the surgery, unless you follow through. In other words, it’s not good enough to submit a medical record from an orthopedic surgeon recommending you have surgery. You must actually have the surgery. The final phase is the final evaluation Once you’ve reached maximum medical improvement your treating physician will schedule a final evalation. After the final evaluation the doctor will write a final report. This is the most important medical record in your case. 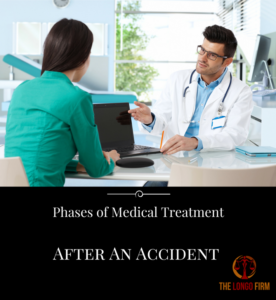 The final report will summarize your treatment, show that you’ve reached maximum medical improvment, and in most cases state you have a permanent injury caused by the accident. The final piece of the puzzle is the heralded impairment rating. This rating is a percentage rating based on the AMA guidelines. For example, your doctor may state you have a 10% whole person impairment. Without a doctor stating your have a permanent injury, you’re not entitled to damages for your pain and suffering in Florida; only your past medical expenses. This only applies in car accident cases; you do not have to prove permanancy in any other injury cases (i.e. slip and fall, products liability, etc.) So, the final evaluation and impairment rating are critical to your accident case. Must Employer Accommodate Disability By Extending Medical Leave? Under the ADA and the Florida Civil Rights Act, employers must accommodate disabilities that do not force undue hardship on the business. Plaintiff bears the burden of suggesting an accommodation to the employer. Plaintiff must also show that the accommodation allows her to perform the main functions of the job. An employee is not entitled to the accommodation of her choice, but only to a reasonable accommodation. An accommodation is not reasonable if it does not allow the employee to perform the job duties in the present or in the near future. An employer is not required to provide an indefinite leave of absence. An employer is not required to provide more than 12 weeks unpaid leave under FMLA. If an employer does allow extended medical leave, it is not protected. It becomes gray when an employee receives a termination notice while on extended leave days before they become eligible for additional FMLA leave. Here, the issue is whether the employee can perform the main job duties in the present or near future. In most cases an employer does not have to accommodate a disability by extending medical leave beyond what is required under the FMLA. causal connection between protected activity and adverse employment action. Examples of engaging in protected activity include filing a charge of disability discrimination. An employee can also meet this first element by complaining to a supervisor or HR about discrimination. The most difficult part is proving causation. Retaliation claims require proof that the employer’s desire to retaliate was the “but-for” cause of the employment action. This is a much higher standard than mixed-motive. A plaintiff may satisfy her burden of proving causation by demonstrating a “close temporal proximity between the statutorily protected activity and the adverse employment action. But mere temporal proximity, without more, must be very close in time. For example, if you filed a charge of discrimination and the next day you’re fired, you have very close temporal proximity and will likely satisfy the element of causation. However, if you file a charge of discrimination and you’re fire six (6) months later, you’ll need to come forth with additional evidence proving that the motivation for your termination was the filing of a charge of discrimination. For more information about ADA disability law, reasonable accommodations, extending medical leave, and all other issue relating to employment law in Florida please visit The Longo Firm website and view our YouTube videos. U.S. District Court Judge halts new overtime rule from going into effect, at least for the time being. The new overtime rule states workers making less than $921 per week are eligible for overtime pay, irrespective of their job duties and responsibilities. An estimated 4.2 million workers currently ineligible for overtime, would automatically become eligible for overtime pay under the new overtime rule, without change to their duties. U.S. District Court Judge Amos L. Mazzant found the new overtime rule in direct conflict with Congress’s intent. 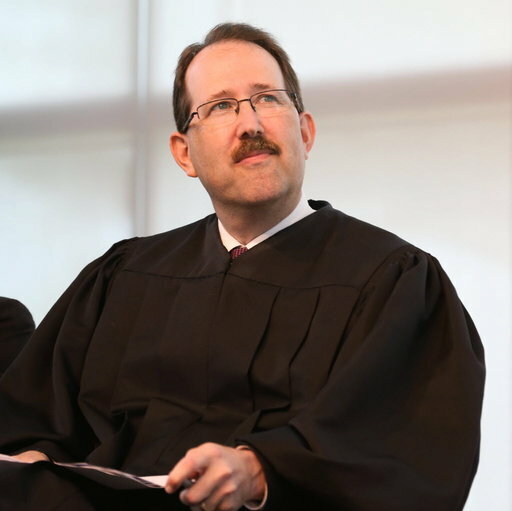 Judge Mazzant reasoned the plain meaning of the Fair Labor Standards Act (“FLSA”) statute, as well as Supreme Court precedent, affirms that Congress intended the executive, administrative, and professional exemption to depend on worker’s duties, rather than their salary. In 1938, Congress passed the FLSA. The FLSA requires workers to receive at least minimum wage for all hours worked. Workers are also entitled to overtime pay of one and one-half times their regular rate of pay for all hours worked over 40 in a week. When passed the FLSA contained certain exemptions to the overtime requirement. Because Congress did not define the term “executive, administrative, or professional capacity,” they delegated the power to define to the Secretary of Labor. Before the new overtime rule, a worker was required to meet the following criteria to qualify for the executive, administrative, or professional exemption. First, a worker must be paid at least the minimum salary level established by the regulations. This is called the “salary test.” The old minimum salary level was $455 per week or $23,660 per year. Second, a worker must perform executive, administrative, or professional duties. This is called the “duties test.” Emphasis has always been on the duties test. The Secretary of Labor is a cabinet position under the executive branch of government. President Obama, in response to the high cost of living and modernization of the economy directed the Secretary of Labor to streamline the existing overtime regulations for executive, administrative, and professional employees. In response the Department of Labor published a new overtime rule increasing the minimum salary level to $921 per week or $47,892 per year. The new salary level is based upon the 40th percentile of weekly earnings of full-time salaried workers in the lowest wage region of the country, which is currently in the South. The new overtime rule also establishes an automatic updating mechanism that adjusts the minimum salary level every three (3) years. The first automatic increase is set to occur on January 1, 2020. In October 2016, several State plaintiffs moved for emergency preliminary injunctive relief. Over 50 private business organizations have also joined the fight to challenge the new overtime rule. A plaintiff seeking a preliminary injunction must establish the following elements: (1) substantial likelihood of success on the merits; (2) substantial threat that plaintiff will suffer irreparable harm if the injunction is not granted; (3) threatened injury outweighs any damage that the injunction might cause the defendant; and (4) injunction will not dissolve the public interest. A preliminary injunction is an extraordinary remedy. It is only granted if the plaintiff has clearly carried the burden of persuasion on all four (4) elements. It is not required to prove the case in full at the preliminary injunction stage of the case. The decision whether to grant a preliminary injunction relies with the sound discretion of the U.S. District Court Judge. Judge Mazzant held the FLSA does not grant the Department of Labor the authority to use a salary test, concluding that Congress intended the exemption to depend on a worker’s duties, rather than a worker’s salary. The court found after reading the plain meaning of the FLSA statute, it was clear that Congress intended the exemption to apply to workers doing actual executive, administrative, or professional duties. In other words, Congress defined the exemption with regard to duties, which does not include a minimum salary level. This is interesting, especially in terms of the professional exemption, where employers love to argue workers, who are highly compensated, are exempt from overtime pay because of their salary. I had a case where an employee made over $85,000 a year, yet her duties were not executive, administrative, or professional. The employer argued because the employee was highly compensated, she must be exempt under the statute. Judge Mazzant’s ruling seems put into question the DOL regulation on “highly compensated” employees. Judge Mazzant held that the injunction applies nationwide. Absent contrary intent from Congress, federal courts have the power to issue injunctions in cases where they have jurisdiction. It is established that the stop of injunctive relief is dictated by the extend of the violation established, not by the geographical extent of the plaintiffs case. In other words, just because this is a judge in Texas making the ruling, it applies all across the United States. We have seen this kind of nationwide injunction before. In August 2016, another U.S. District Judge in Texas issued a nationwide injunction to ban enforcement of a Department of Education rule related to transgender bathroom policies. Moving forward you can expect the Department of Labor to defend their position. Remember, at the preliminary injunction stage a Plaintiff is not required to prove their case in full. A preliminary injunction is basically the Court saying, let’s pump the brakes and see how the case plays out. There is a still a possibility the Plaintiff’s fail to prove their case. Also, the case could be overturned on appeal or Congress could amend the law. The Plaintiffs chose to file this case in the Eastern District of Texas (Dallas, TX). This is a very conservative district. Considering we now have a Republican controlled Congress, unfortunately the chances the new DOL overtime regulations going into effect anytime soon is slim.